In an effort to expand their vision, The Green House Project sponsored The Green House Design Charrette to explore new and creative design solutions for Green House® homes. The competition was open to design professionals and design students interested in examining the interplay of living at home with provisions of significant care services. The Green House® movement represents a radical change from traditional, institutional nursing homes to a setting where people thrive and live in relationship with others who care for and about them. While the setting may seem deceptively simple, a home for ten individuals; creating a place where people not only feel at home but are supported through the design to maximize their potential, physically, socially and emotionally is a challenge. The design must also creatively and unobtrusively support the caregivers, both professional and family. 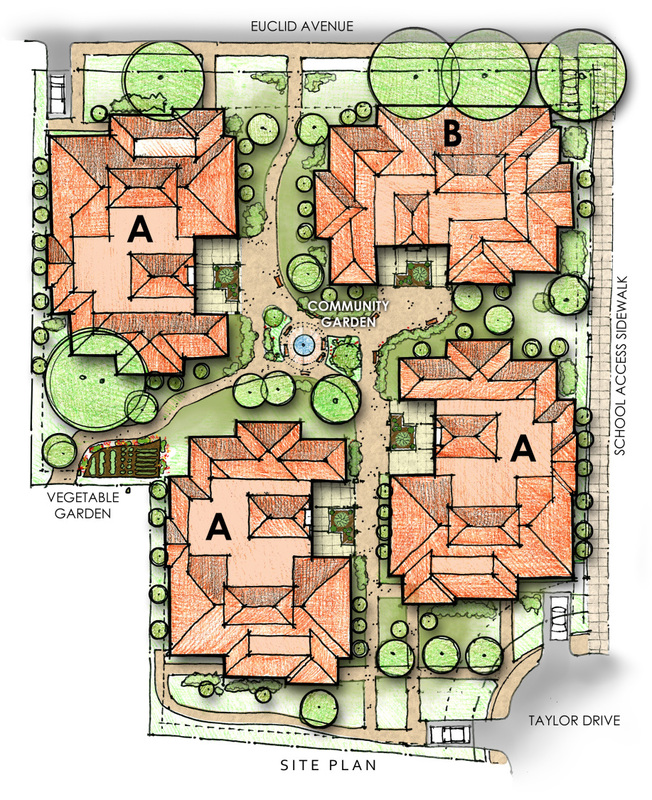 Our design response to a suburban setting presented an opportunity for the four Green House® homes to be connected to the surrounding residential community while maintaining a private internal neighborhood garden, central to the site. This allows the resident elders to ‘self-direct’ their daily lives by providing a wide range of choices – from intimate private spaces to active community connections – from quiet internal gardens to engaging with local school children. Our solution to this design competition goes beyond providing just a physical living environment for seniors. It provides an adaptable prototype that when customized for a particular site, will enhance the comfort, independence and wellness of the elders who live there.